Prickly sculpin, approximately 10 cm (4”) long. Location: Suisun Marsh, California. Date: 8/6/2007. Prickly sculpin (anterior view), captured in rotary screw trap on the Sacramento River at Knight's Landing on 2/26/2009. Photo by Dan Worth, California Department of Fish and Game. Prickly sculpin (dorsal view), captured in rotary screw trap on the Sacramento River at Knight's Landing on 2/26/2009. Photo by Dan Worth, California Department of Fish and Game. The prickly sculpin is adaptable to environments ranging from fresh to saltwater, and from small cool stream to large warm rivers and lakes. The prickly sculpin has a variety of forms as some are coastal, others live in the valley, and some are limited to Clear Lake proper. The coastal forms rarely live in a stream without an estuary and rarely go farther than 50 km upstream though they have been found present over 120 km upstream, often sharing habitat with the coastrange sculpin. In the Central Valley of California these fish inhabit low elevation waters. The limitation to the spread of these fish seems to be water quality, as the prickly sculpin is not found in highly polluted waters. In streams these fish use a variety of habitats though good cover or overhanging vegetation is a common thread. The prickly sculpin spends most of the day sedentarily hiding and they then becomes active in feeding and movement at night. When prickly sculpins reach sexual maturity after 2, 3, or 4 years they move to a suitable place in freshwater to spawn and hide the eggs under loose rock substrate. Most spawning occurs between February and June. The male will guard the fertilized eggs until they hatch. When the larvae emerge they are quickly washed downstream to an estuary or deep slow pool. In lakes and in estuaries the larvae become pelagic. As the larvae develop into juvenile fish they begin to move to area of prosperous feeding, often moving upstream a considerable distance. 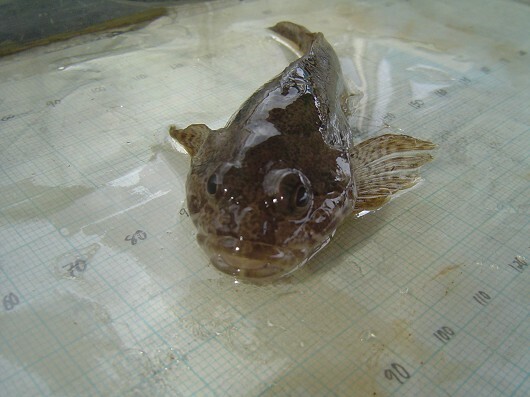 In many cases the movement of fish, and especially young prickly sculpin, is limited by man-made barriers or diversions. 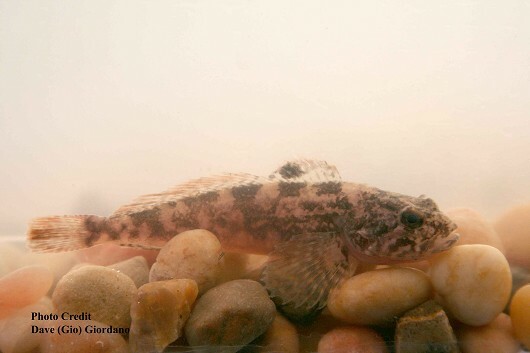 In lakes, juvenile prickly sculpin forage around the lake shores and then gradually move into deeper water as they grow. 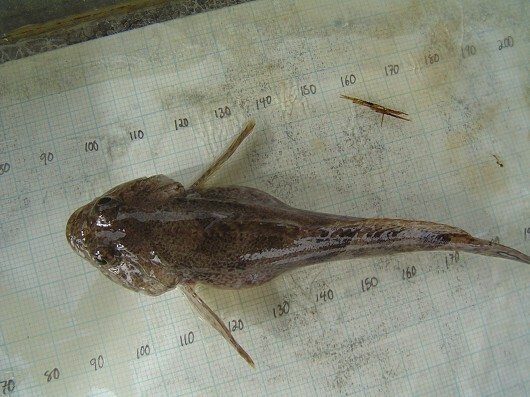 Feeding patterns in the prickly sculpin vary depending upon geographical location and/or by size. For example in Clear Lake these fish may feed more consistently throughout the day. Both adults an juveniles eating midges and amphipods. While in coastal streams the food source includes benthic invertebrates, aquatic insects, and mollusks. Adult sculpins may supplement their diet with small fish and frogs.